Even if you’ve never managed to keep a succulent alive for more than a month, there’s no denying that apartment greenery is having a moment. 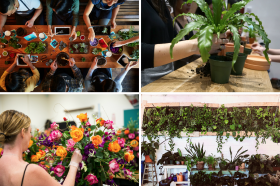 Luckily, New York is full of plant shops and other great spots offering classes and workshops to locals looking to shore up their green thumbs and maybe not kill a plant the second it crosses their threshold. Ahead, we’ve rounded up the 10 best, from terrarium and flower-crown making to botanical mixology to the principles of hydroponics. 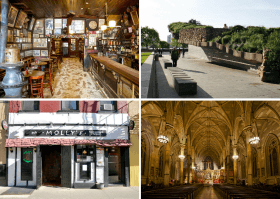 St. Patrick’s Day is almost here, and though its modern iteration seems to have devolved into a daylong drinking activity, it’s still a good time to reflect on New York’s Irish heritage. Irish immigrants have been coming to New York since the colonial era, but in the 19th century, they were one of the biggest groups in the city, making up about a quarter of the population. 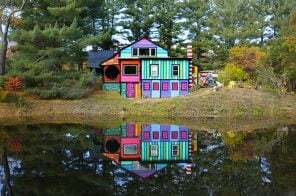 Their cultural influence is everywhere, but there are some spots in town where it shines through the most. Here are our favorites. It’s sometimes hard to see New York’s romantic potential, considering the city’s sheer quantity of subway rats and mysterious street sludge. But despite some of New York’s less love-inspiring qualities, there are a lot of beautiful, heart-stopping spots that set the right tone for romance, even if you have to contend with yellow snow on your way home. 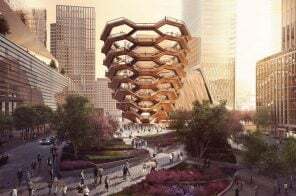 Just in time for Valentine’s Day, we’ve rounded up our 10 favorites, from a medieval monastery to a cozy restaurant haunted by Aaron Burr to tried-and-true favorites like the top of the Empire State Building. New York is home to world-class institutions like the Metropolitan Museum of Art, the American Museum of Natural History, the Guggenheim, and MoMA. 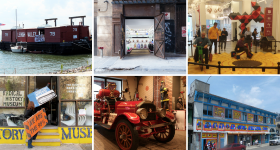 But this city’s museum scene has more to offer than just the Temple of Dendur—in fact, it’s full of smaller, way funkier spots serving up found art, oddities, and history, including the history of this ever-odd city itself. Here are 10 of our favorites. You may have thought NYC’s wildlife predominantly consisted of subway rats and the giant cockroaches that find their way into your apartment each summer, but it appears there’s more to this city’s animals than pests. 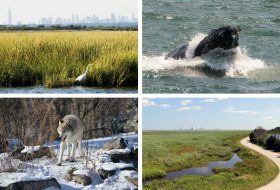 Indeed, New York is actually full of unique birds, mammals, and insects that help contribute each day to our shared ecosystem. 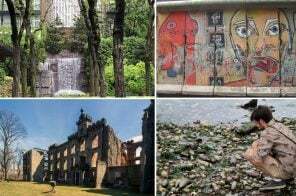 It’s also full of walking tours, boat tours, driving tours, and other activities that’ll give you an opportunity to get a good look at the wildlife around us, both in the city and just outside of it. Here are some of our favorites. In New York City, the “outdoors” can consist solely of backyard bar happy hours and occasional picnics in Central or Prospect Park. But when the urban landscape starts to feel oppressive, your legs start itching to scale a mountain, and Brooklyn Boulders just isn’t going to do it for you this time, there are a number of quick escapes just outside the city that offer easy to difficult nature hikes and treks. 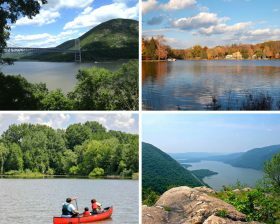 Some of these are easily accessible by Metro-North; some might require a car or bus ticket, and some happen to be in the city itself, provided you consider Staten Island within its borders. 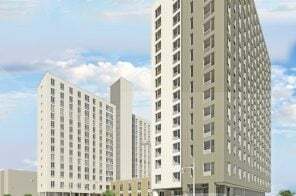 All of them feature great views, exercise, fresh air, and the occasional tree, how novel! Ahead, discover our favorites. 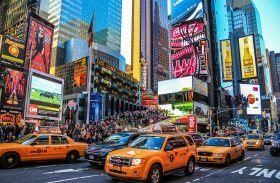 With Memorial Day just around the corner, most New Yorkers have two options–sit in endless hours of traffic trying to get to the beaches on the Hamptons or down the Jersey Shore, or have a staycation in the city. And while the latter may sound boring (and hot!) there are plenty of beaches to hit up within the boroughs. 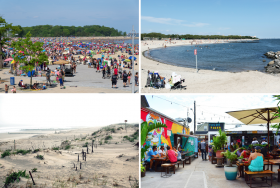 From the Rockaways to Fort Tilden, we’ve rounded up the seven best sandy spots in NYC. At long last, it appears springtime’s on its way to New York, transforming streets of sad, wilted grey and brown into, er, slightly less sad-looking grey and brown. 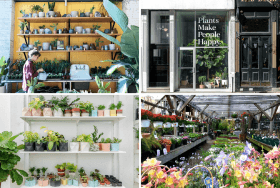 If the little buds starting to sprout on tree branches in the parks and on the streets aren’t enough green for you, there are plenty of plant shops in the city that’ll help introduce some oxygenating goodness into your own apartment, no matter how small, dark, or pet-filled it may be. Note that for the sake of this list, we’ve stuck with plant shops, not florists, though you’ll find arrangements at some of these shops—this one, though, is for home gardeners and lovers of succulents, which it turns out you do need to water from time to time, a lesson some of us first-time plant parents learned the hard way. One of the true marks of a New Yorker is an aversion to Times Square, where slow-walking out-of-towners clog sidewalks, costumed characters try to hug you for tips, and overpriced suburban chains like Olive Garden and Applebees abound. But a few bright spots exist amid the touristy madness and Broadway shows, and they’re worth a visit if you happen to be in the area, if not a specific trip (seriously, avoid Times Square at all costs if you can). 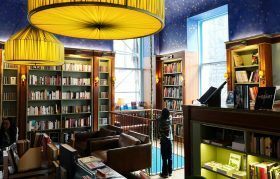 Independent bookstores are still going strong in NYC, with standouts like BookCulture, WORD Bookstore, McNally Jackson, and, of course, The Strand Bookstore, continuing to provide literary New Yorkers with the written word despite the specter of Amazon. But while the aforementioned shops are great places to find new and used literature, if you’re looking for a more curated collection, look no further than some of the city’s finest specialty bookstores, where mystery fiends, activists, artists, Francophiles, and others can find works tailored to their interests, as well as rub shoulders with like-minded readers. Here are some of our favorites.